Lista geral dos títulos da coleção “Education“. Subjects: Students — Europe — History. Non-formal education — Europe — History. Subjects: Education, Higher — Australia — Evaluation. Higher education and state — Australia. Education, Higher — Economic aspects — Australia. Social sciences — Study and teaching (Higher) — Australia. Educational change — Australia. Subjects: Bologna process (European higher education) College graduates — Employment — Europe. Education and globalization — Europe. Subjects: Indigenous children — Education — Canada — History — 19th century. Indigenous children — Education — India — History — 19th century. Indigenous children — Education — New Zealand — History — 19th century. Great Britain — Colonies — Asia. Great Britain — Colonies — America. Subjects: Education, Higher — Balkan Peninsula. Education and state — Balkan Peninsula. 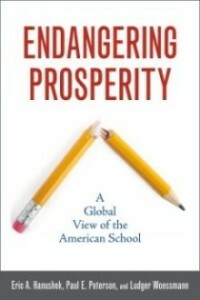 Author: Peterson, Paul E. Henderson, Michael West, Martin R.
Subjects: Education — United States — Public opinion. Educational change — United States — Public opinion. Schools — United States — Public opinion. Educational surveys — United States. Author: Finn, Chester Sousa, David A. Subjects: Education, Elementary — Standards — United States. Education — United States. Public schools — United States. Subjects: South Africa. — SETA. Education — South Africa. South Africa — History. Subjects: Education — Zambia — History. Author: Chambliss, Daniel F. Takacs, Christopher G.
Subjects: Jews — Education — History — To 70 A.D. Education — Philosophy — History — To 70 A.D. Teaching — Philosophy — History — To 70 A.D. Subjects: Education — South Africa. Blacks — Education — South Africa. Educational change — South Africa. Subjects: Communication in learning and scholarship — Technological innovations — Africa, Southern. Communication in learning and scholarship — Africa, Southern. Scholarly publishing — Africa, Southern. Open access publishing — Africa, Southern. Research — Publishing — Africa, Southern. Universities and colleges — Africa, Southern. Subjects: Education, Higher — South Africa. Higher education and state. Subjects: Educators — Biography. Federal aid to education — Louisiana — New Orleans. Hurricane Katrina, 2005. Author: Gold, David Hobbs, Catherine L.
Subjects: Women — Education — Southern States — History. English language — Rhetoric — Study and teaching — Southern States — History. Report writing — Study and teaching (Higher) — Southern States — History. Rhetoric — Southern States — History. Education, Higher — Southern States — History. Subjects: Education — Africa, Sub-Saharan. Education and state — Africa, Sub-Saharan. Education — Africa, Sub-Saharan — Statistics. Subjects: Teachers — Government policy — Indonesia. Educational change — Indonesia. Education and state — Indonesia. Subjects: Education, Higher — Taiwan. Subjects: Educational change — Estonia. Educational innovations — Estonia.